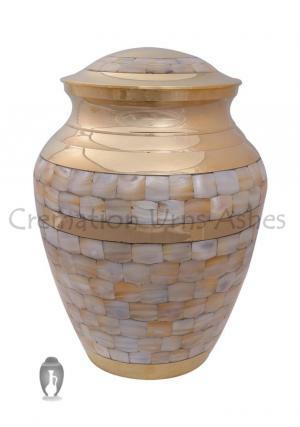 The Mother of Pearl Elite Large Funeral Cremation Ashes Urn is a adult memorial urn made out of high quality brass metal with engraving of twin bands. And also features double layers of “mother of pearl” on the body and top lid. 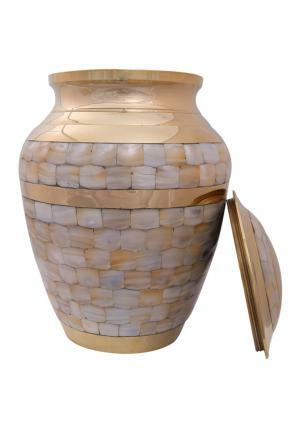 The large ceremonial adult urn has very high decorative color presence in gold and beautiful use of pearl makes the perfect choose to decorate ashes of the loved one. 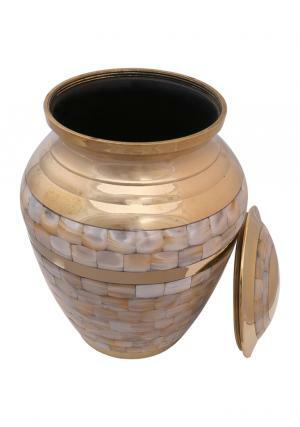 The large adult funeral ashes urn is secured with threaded label to the top lid for a tight closure of ashes inside. 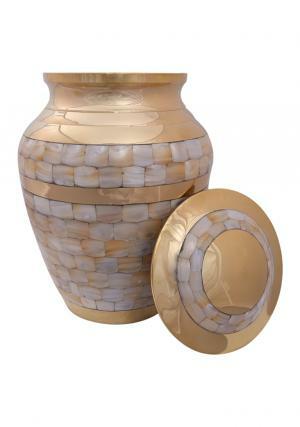 The mother of pearl funeral urn weighs 2.52 Kg, 11 inch tall and 6 inch width cable to hold 200 cubic inch of ashes approximately.